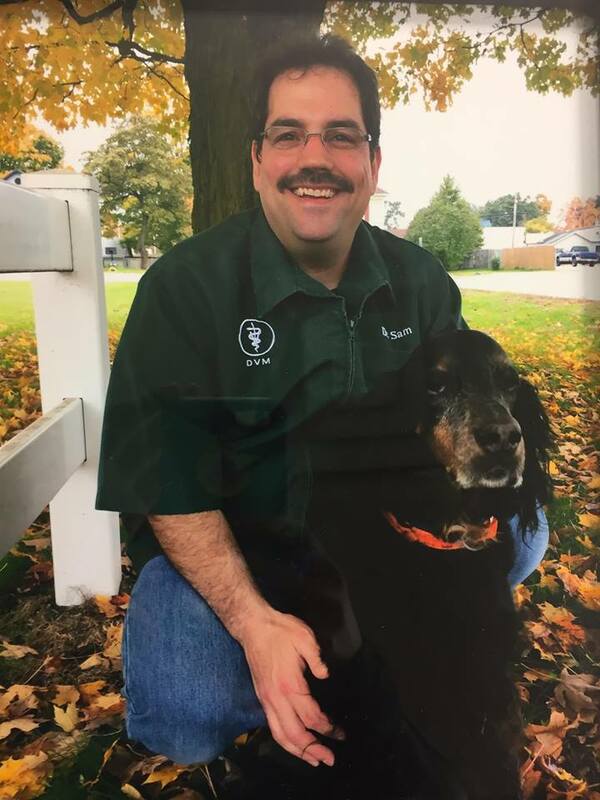 Senior Veterinarian and practice owner, Dr. Sam is a 2003 graduate from Michigan State University College of Veterinary Medicine. He started his career with an interest in pharmacology, fascinated by the effects of medications from antibiotics to ace inhibitors and how they affect the physiology of an animal. He founded the Animal Wellness Center of White Cloud in 2007 to care for cats and dogs. In practice, he focuses on general medicine and surgery with a special interest in dentistry. In his free time he enjoys most outdoor sports such as hunting, fishing, scuba diving, jet skiing, off road driving and visiting Silver Lake Sand Dunes. ​Dr. 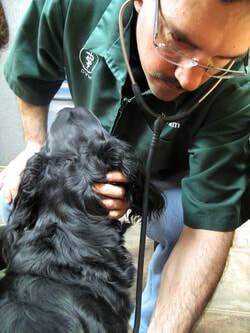 Todd Miller graduated from Michigan State College of Veterinary Medicine in 2010 to combine his life long passion of spending time with animals and their human counterparts. He also has a passion for medicine and the puzzle behind how each body systems work. Dr. Miller treats large animals, small animals, and exotics excluding rats and mice. In his free time Dr. Miller enjoys spending time with his family and loving on his herd of cattle. Dr. Laina VanKoevering, DC, VCP (veterinary chiropractitioner) joined Animal Wellness Center in 2012. She has been working as a Doctor of Chiropractic in Fremont at VanKoevering Chiropractic since 2011 and in 2013 did a seminar series to work with animals as a veterinary chiropractitioner. The technique administrated is called Veterinary Orthopedic Manipulation, or VOM. It is a healing technology that requires an instrument, similar to the "activator" used in human chiropractic care, to locate areas of the animal's vertebral column and nervous system that have fallen out of alignment. This quick and gentle technique re-establishes neuronal communication and thus induces healing and restores function. VOM technology can be used for preventative care, symptom/pain relief, and maintenance care to help your pet reach their optimal health. Our clinic does have a 24 hour cancellation policy. We reserve the right to charge a office call fee for any appointments canceled within 24 hours of your scheduled time. Animal Wellness Center of White Cloud is a proud member of the Newaygo Country River Country Chamber of Commerce.